May the N7 Day be with you. 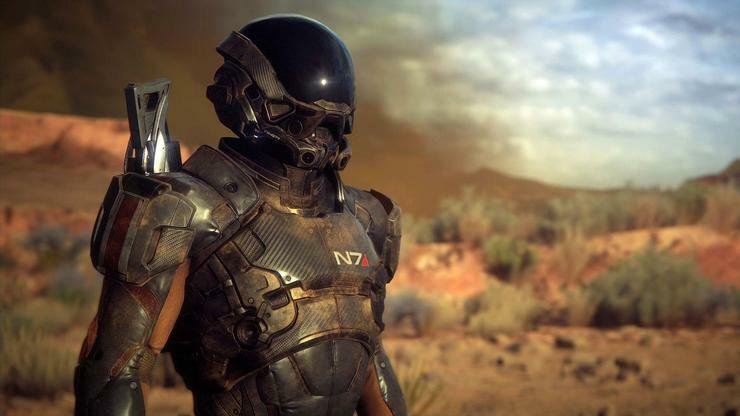 True to its word, EA and BioWare once again branded November 7 as “N7 Day”—“N7” being Shepard’s Alliance rank in the original Mass Effect trilogy—to trot out some Mass Effect: Andromeda marketing. Which is good, because the game is four months from release and I feel like we’ve barely seen any of it. Short of combing each frame for clues there’s not a ton to go on here. You’re the Pathfinder. There’s a growly-voiced villain. The previously-revealed Asari character with the stripe over her eyes still exists, and also knows something about gravity wells. EA’s Frostbite Engine sure looks pretty. That certainly sounds like a Mass Effect game. Andromeda is set to release in March of next year, so you’ve got a bit of time to go back and play the originals—in fact, EA just added Mass Effect 2 and 3 to Origin Access, if you’re a subscriber. Other than that, expect the drip-feed of marketing to turn into a slightly-more-rapid dribble over the next few months. We’ll keep you updated.